What Makes a Client Testimonial Relevant? Client Testimonials or recommendations from past clients are good for your business and your website. They create a positive image of your business and encourage prospective customers to trust you with their business. 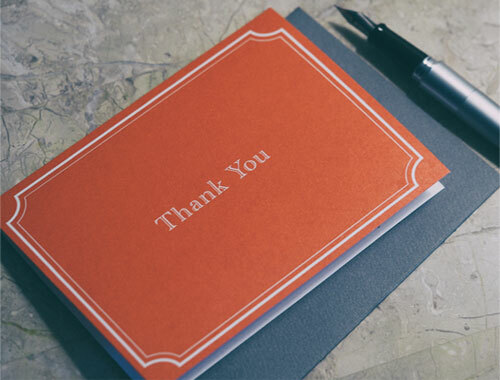 While any and every positive word from your previous clients is beneficial and helpful, there are some essential elements that every well-written and relevant client testimonial should have. After all, the idea behind publishing client feedback is to provide a bird’s eye view of your interaction with the client from start to finish, and how your services helped their business achieve specific goals. When a prospective client reads a recommendation on your website, they are primarily looking for relevancy. They want to know if you have previously handled a project similar to theirs’. Hence, it is important that your past customers, at least briefly describe their project goals and how your services helped them reach those objectives. Hence, a good client recommendation should (briefly) outline the goals of the project which were successfully met by you. SPECIFIC: WHY SHOULD SOMEONE HIRE YOU? Whether it is the content writing industry, web design or any other form of outsourced business, there is immense competition in every field. Needless to say, there are thousands and thousands of websites on the WWW, all vying for the customer’s attention. The very fact that the client chose you over your competitors speaks volumes about your credibility. When you request your client for a recommendation about your services, ask them to specifically mention the reason why they chose you over your competitors. A good testimonial becomes great and highly relevant when clients indicate what made them pick you. Your reply to their initial inquiry was quick, to-the-point and impressive. Your costs were reasonable and within their budget. You ranked high on Google for the services they needed. You were willing to deliver the project on an urgent basis, thus, meeting their tight deadline. Prospective customers would like to know your strengths and the benefits of hiring your services. What can be better than reading about how your previous customers benefitted by hiring you? A good recommendation from a past customer is one that discusses some of your most beneficial traits and provides prospective customers enough reasons to hire you. Prospective customers want to know how your services helped a client and to what extent. For a testimonial to be effective, it must share information about the positive results a customer can expect to receive from hiring your services. Did the website (you designed) bring more business for your client? Was the newsletter (you wrote) a big hit with their subscribers? Did your product descriptions increase their product sales? The most important feature of a good testimonial is that it is written in a truthful and sincere manner. When a past client talks about their positive experiences while working with you, their satisfaction reflects on their words. Hence, a good customer testimonial should never be edited. It should come straight from the client and published as is. How do you make sure your client includes these elements in their testimonial, you might ask? Though you do not have the liberty of telling the client or customer what you want them to write in their recommendation, you can provide them with some guidelines and elements that you would like them to address in their testimonial. How quickly you delivered the finished project (quick turnaround). Your company’s sensitivity to special requests and deadlines. Their level of satisfaction, etc. A happy client will be more than willing to accommodate your requests and write you a relevant, valuable and effective review that will add credibility to your services and your website.